Insta360 has introduced the One X which is a 5.7K camera that uses 360° capture, groundbreaking stabilization, and cinematic slow-mo to expand camera possibilities. It is compatible with iOS and Android. The company says it is more than a 360-degree shooter that gives possibilities to do more during and after capture. It combines an unlimited field of view with gimbal-level stabilization and new high-FPS shooting modes. It can record 5.7K videos at 30 FPS, 4K at 50fps and 3K at 100fps with super smooth shooting modes. It packs an 18MP sensor and uses the upgraded FlowState stabilization algorithm, analyzing movement in all directions. The FlowState lets users capture impossibly smooth video with no accessories needed. Using the ONE X’s editing app, users can easily reframe and re-edit the best parts of a scene, creating cinematic clips. The ONE X’s new TimeShift feature lets users adjust the speed of different parts of a clip on a whim. It also introduces a unique Bullet Time shot, an orbiting perspective that puts a user at the center of an epic slow-mo shot. Connectivity features include a super-fast 5.8 GHz WiFi, Lightning, USB Type-C and Micro-USB cables come standard with the ONE X. It packs a 1200mAh battery. 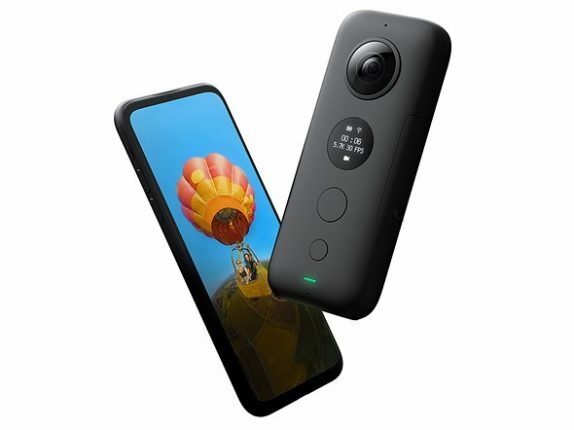 The Insta360 ONE X action camera is priced at $399.95 (Rs. 29,750 approx.) and it is available to order now via Insta360.com and select retailers worldwide and will ship from October 17th.